Over time, wooden doors warp and swell. Because doors fit to specific frame sizes, any type of warping or swelling can make the door difficult, if not unable, to open. You can fix a swollen wooden door, but the method depends on how severely the door has been warped and the location of the warped spot. Fix warped doors as soon as they become noticeable; the problem can escalate and make it impossible to fix. The Doorlandia website explains that warps and swelling can occur because of a heat source too close to the door or because of poor ventilation. Because heat causes the wood to expand against its frame, avoid placing heaters less than 36 inches from a door. If a warp does occur, you can fix it by either planing off a small section of the door or by detaching it and placing weight on it to bend it back into shape. You can do this with simple carpentry tools such as a plane, sawhorses, C-clamps and weights. A door will warp at the edges or in the middle. To determine how to fix it, you need to find out where the warp is. If the door doesn't open or close properly, you can assume the door has swollen against the floor, part of the frame or the ceiling. 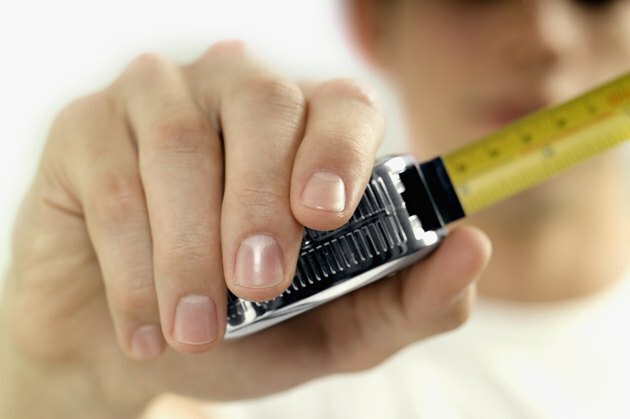 To find a warped place in the center of a door, place a tape measure against the door and let it hang to reach the floor. There should be no space between the door and the tape measure. Detach the door by using a screwdriver and a hammer to remove the hinge pins. Work carefully, too much force will bend the pins. 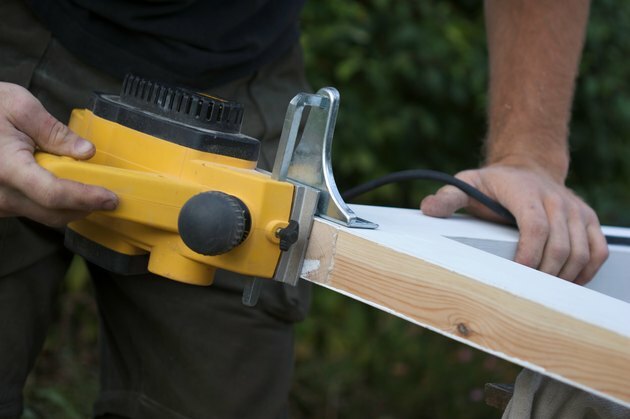 Once you have the door free and know the location of the damage, use a wood plane to sand away enough wood to allow the door to open and close again, and use paint and wood finish to cover the bare wood. According to the Home Tips website, you can also fix a bowing door by adding another hinge midway between the top and bottom hinges.